As educators around the country prepare for “back to school,” the national dialogue will once again turn to college and career readiness. With elections coming up in the fall, federal education policy will be a hot topic, so it's time to get serious about how proposed changes will affect students' futures. A recent survey conducted by San Francisco non-profit YouthTruth found that fewer than half of high school students feel positive about their state of college and career readiness. The survey finds that while the vast majority of students (87 percent) wish to pursue a college education and eventually a career, many students feel that schools are failing to meet their basic needs when it comes to ensuring they’re adequately prepared to succeed. It may not come as a surprise to you that students feel unprepared. 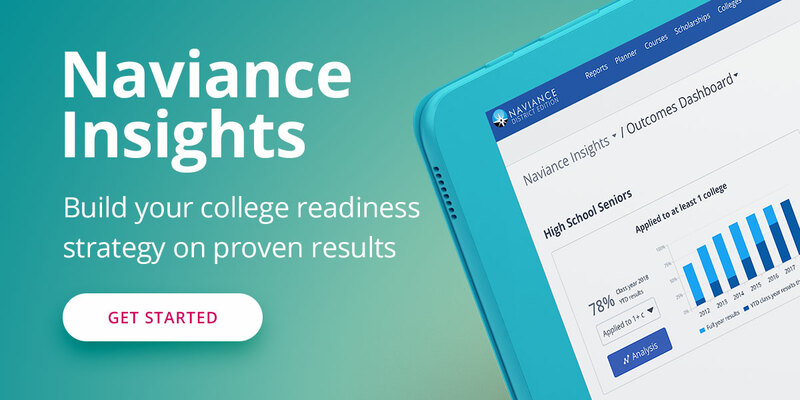 In fact, the results of surveys like these may only serve as further evidence (in addition to standardized test results) that we are missing the mark in helping students to reach college readiness benchmarks. But why are we missing the mark? That’s one theory supported by Gallup. Last week in San Antonio, a group of nearly 1,000 educators gathered at Hobsons University to discuss best practices around student admissions and advising, and to learn from industry experts. The event’s keynote, Brandon Busteed, executive director for education and workforce development at Gallup, featured some of the latest research on the subject. According to Busteed, Gallup research points to a big divide between how chief academic officers (CAOs) rate their institution’s ability to prepare students for the workforce, and what students actually believe. Gallup finds that while 96 percent of CAO’s find their institutions are at least somewhat effective at preparing students for the workforce, only 14 percent of Americans would agree. One reason could be that institutions are not looking at the right measures to determine student readiness. While Busteed agreed that test scores and GPA still matter to a certain extent, they are not found to be accurate predictors of long-term student success and well-being. In fact, “hope” is a stronger predictor, yet fewer than 11 percent of students thrive in all five of the well-being elements highlighted above. Students who are hopeful are twice as likely to stay engaged in their careers after college, and students who are able to apply their strengths in the classroom through deep, experiential learning have greater odds as well. The hypothesis is simple: giving students hope can lead to greater outcomes in the classroom and in the workforce. It’s a seemingly soft measure that can lead to hard results both inside and outside of the classroom. What are you doing to inspire hope?